Who’s responsible for locking down Oculus games to Rift hardware? The plot thickens. The debate over exclusivity in virtual reality gaming just got a lot more interesting with a patch that brings Oculus games to HTC’s Vive headsets. So far, specific patches have been released for Lucky’s Tale and Oculus Dreamdeck, each of which must be installed into the game’s specific Windows directory. But as Ars Technica reports, the same patches can also be applied to many other games that use the Unity and Unreal engines. While some games have controller issues, Ars and various other Vive users have reported smooth performance. Just keep in mind that running Oculus games on Vive requires installing the Oculus Runtime, and in turn agreeing with the company’s mildly controversial privacy policies. The patch adds a new wrinkle to the back-and-forth between Oculus and Valve over VR games and exclusivity. 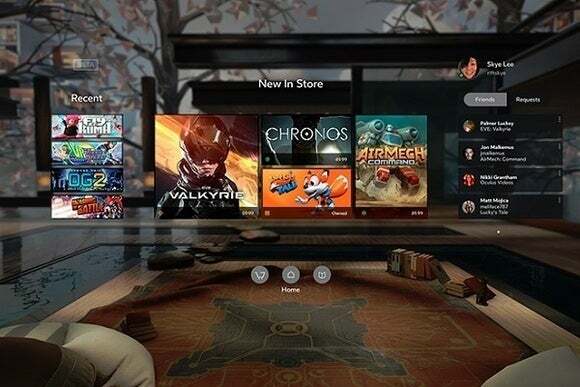 While Oculus owners are free to run Valve’s Steam VR software on their headsets, Vive owners cannot officially run games from the Oculus Store. Valve, meanwhile, has disputed this notion. “Anything Oculus or other stores need to work with the Vive are documented in the freely available OpenVR APIs,” spokesman Doug Lombardi told Digital Trends last month. Why this matters: The new patch illustrates that bringing Oculus games to HTC Vive headsets is technically possible, if only by creating a bridge between two competing SDKs, but it’s unclear which party should be responsible for doing this in an official capacity. Besides, Oculus has plenty of other issues on its hands, from much-needed software improvements (like the ability to install Oculus Store games outside of the C: drive) to months-long shipping delays for pre-order customers. Hopefully that means Oculus will leave the unofficial patch alone, even if it may violate the Oculus Home EULA by working around the company’s code-signing checks.